Química del Cinca prioritises the search for and development of new technological solutions to optimise processes, improve the product and make an effective and sustainable use of its resources, as well as for installation maintenance. Faced with this challenge, the company applies the available technologies to control, modelling of the physical-chemical processes, development and improvement of the products sold and new market requirements. It supports the continuous development of improvements, new formulas and operations with maximum added value, with a highly professional technical structure that has leadership skills in the development of new solutions. All this focuses on continuous improvement in Safety, Health and Environmental Protection in all its operations, in line with the principles of Sustainable Development and Corporate Social Responsibility. 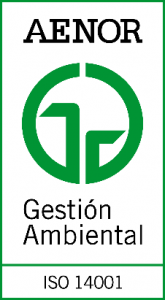 Química del Cinca considers environmental protection, the safety of people and its facilities and sustainable development to be key aspects in the development of its business. This commitment is included in its operations policy and in the implementation of management systems according to internationally recognised standards and certified by accredited bodies on a national and European level. The Laboratory and Integrated Management areas deal with the quality of the product manufactured, controlling the environmental vectors identified and complying with REACH, CLP and ADR regulations, as well as continuous improvement in our production processes. The certificates, registers and plans in force are: Quality Management System certificate according to UNE-EN-ISO 9001, Environment System certificate according to UNE-EN ISO-14001, Occupational Safety Management System certificate according to OSHAS 18001, Safety Management System certificate according to the SEVESO directive, Interior and Exterior Emergency Plan according to the SEVESO directive, Integrated Environmental Authorisation by INAGA. 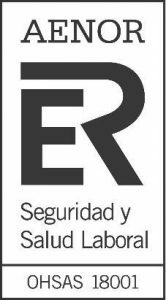 Química del Cinca is a member of the “Responsible Care” Progress Commitment Programme of the Chemical Industry with regard to Sustainable Development, the goal of which is the continuous improvement of Safety, Health Protection and the Environment. We firmly believe in our contribution towards generating value for society using a model of responsible, sustainable, balanced and time-enduring development and growth. We contribute towards the economic and social development of our community and are involved in the encouraging ties to strength the company’s relationship with its environment, respecting and promoting human rights from our area of influence. The company’s activities and strategy include social responsibility and action, environmental care and protection and sustainable development, which form part of our identity. Likewise, Química del Cinca promotes the development of Corporate Social Responsibility policies and works on promoting the meeting of the goals and the spirit of the “Responsible Care” programme.